Almost two centuries later, coffee houses are a fixture on every well-driven, So Cal street – although mostly emblazoned with a green mermaid logo. True to the western American ingenuity way, the Golden State still has some independent shops crafting luscious java jolts in small batches. 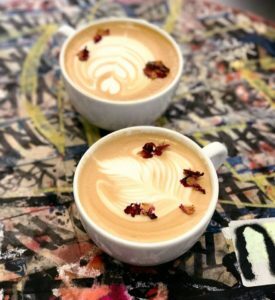 Coffee connoisseurs in So Cal have a myriad of baristas fashioning joe in unique ways. Here are some of our favorites, from Palm Springs to Orange County and into Los Angeles. With a full tank of gas and a thermos of rocket juice as fuel, high-octane lovers can make a road trip visiting them in a single day. Go get your jitter on! Found in an Orange County hipster strip mall called OC Mix in Costa Mesa (in the same place as famed Taco Maria), Portola rose to prominence when the coffee industry’s major publication, Roaster Magazine, honored the caffeine maker with its 2015 “Roaster of the Year.” While already beloved by locals, the award catapulted the four-year-old shop into a nationally known bean-lover mecca. Noted for their lack of syrups and additives while using only mocha and milk for additional flavors, the single store has branched to six locations, all within Orange County. 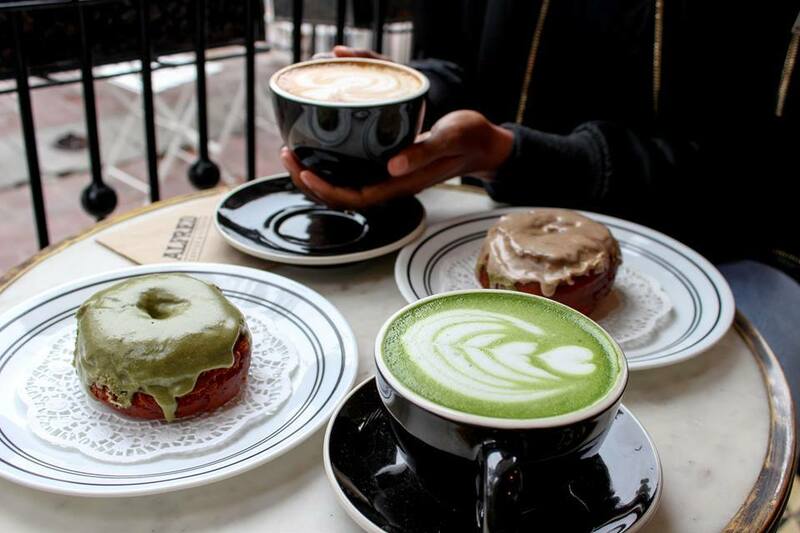 Furthermore, they use three distinct brewing methods to get to the only-in-OC taste: a manual pour-over, a siphon, and the trifecta (a combination of the siphon, pour-over, and French press). For an espresso made from a single origin bean, it’s a one-shot deal with a one-of-a-kind machine. Be prepared to stand in line for your cuppa, but It’s good to the last drop. 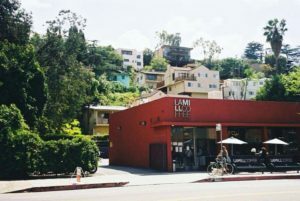 When LA Mill first opened a decade ago, there was nothing quite like the coffee roaster and maker. 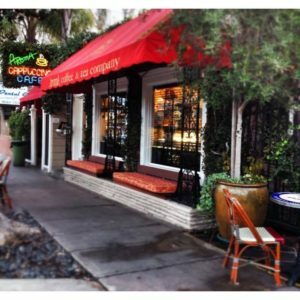 For one, it cemented Silver Lake as a destination for good eats. Menu was crafted by Chef Michael Cimarusti of Providence fame, in conjunction with the LA Mill owner Craig Min. The interiors designed were commissioned by their next-door neighbor by Silverlake decorator, Rubbish Interiors. It personified early hipster-hood. And there still is nothing quite like it, as far as coffee shops go. 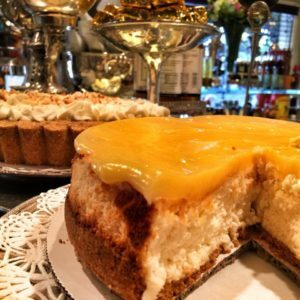 Coffee may be the thing to try, but you’re spending your time here because, well, the grub isn’t just an afterthought. It’s a reason to eat. 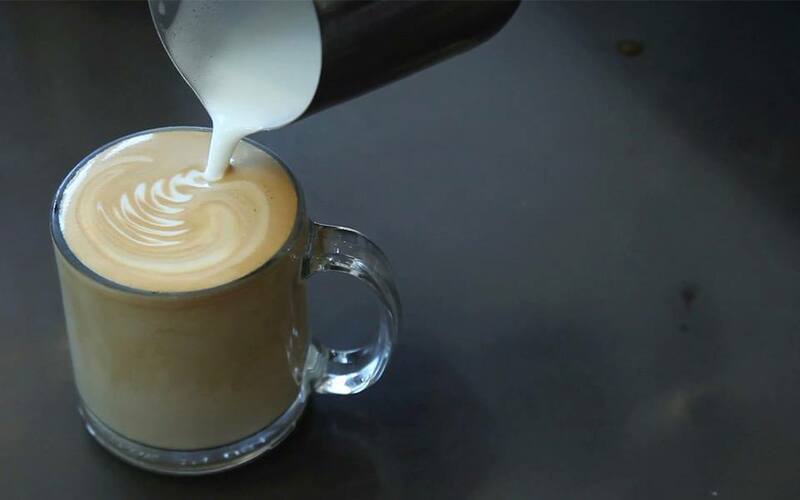 Coffee is made four different ways, and then there is the $11,000-dollar espresso machine. That’s almost as much as your electric Smart Car. 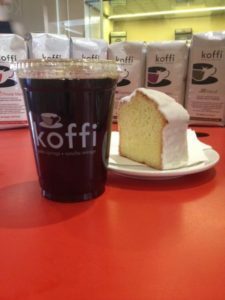 For those who have traveled to the Palm Springs area for two decades, Koffi is as much a destination for coffee as is tramway travel to the top of the San Jacinto mountains. The flagship spot located as drivers enter the resort town is a welcome relief. 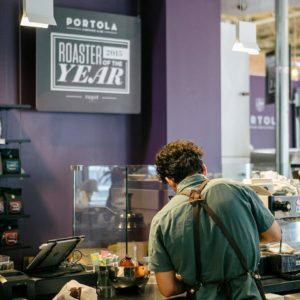 Although the line winds around the counter, it moves quickly, giving the legs movement after an hour and half driving from LA or San Francisco – which can clock in at five to seven hours depending on traffic. 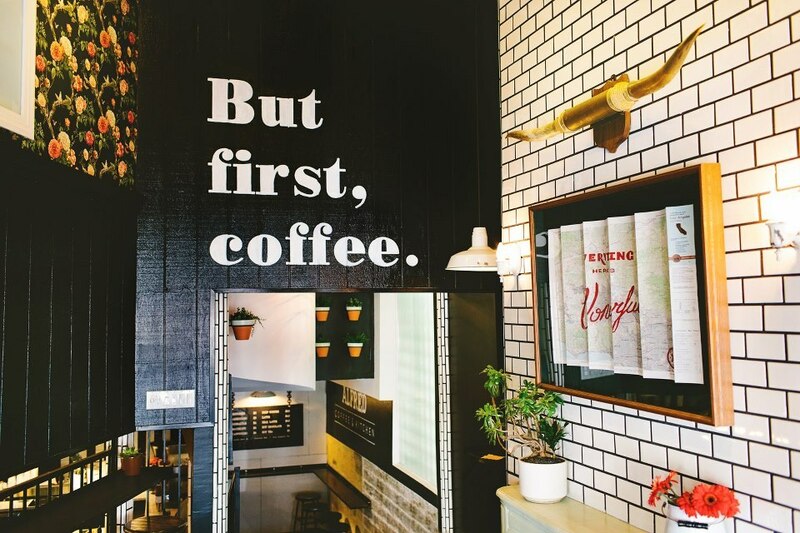 What started off with only one roastery has clovered into three locations, with the original, a Rancho Mirage location, and another mid-century outpost on the edge of Cathedral City. Stopping at Koffi and partaking of their java is as important as a warm desert pool on a chilly night or a hike into Joshua Tree. Most coffee lovers would bypass Alfred, as they serve the yummy but ubiquitous Stumptown beans. 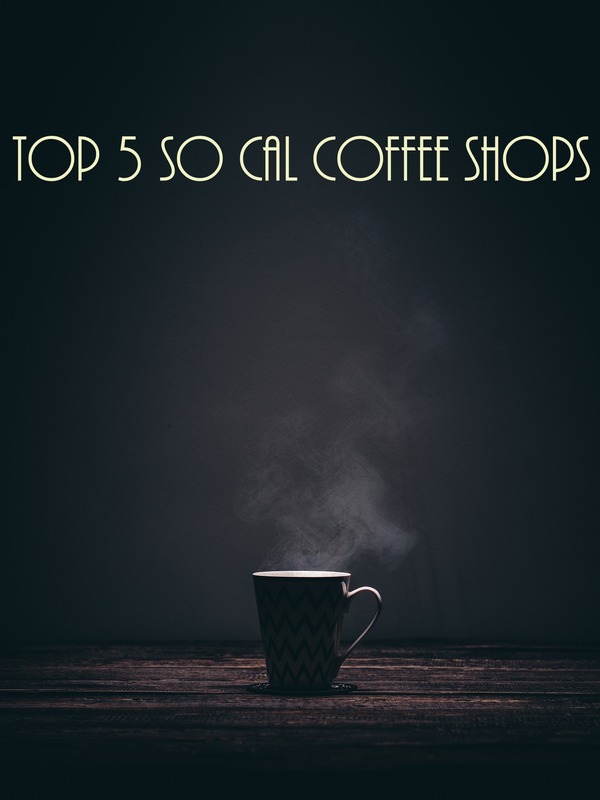 Alfred, though, with its two chic shops – located just two blocks from each other – is unique without the coffee roastery…and is why it’s on this list. 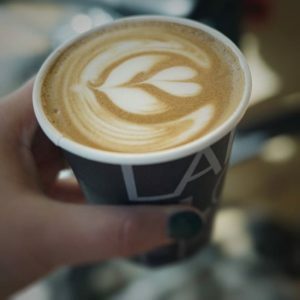 Made in West Hollywood, the liquid energy is chock-full of L.A.’s pretty people, tourists checking out the nearby luxury shopping, and a mélange of neighborhood folks. Matter of fact, if you felt the subway rumble or heard car horns slamming, one might feel they were in New York or Paris. Yes, it’s that cosmopolitan. Yes, it’s that fashionable. And yes, it’s as much a part of the sartorial coffee scene as City of Light’s Les Deux Magot or Manhattan’s Balthazar. If you happen to be in Japan, Alfred lovers can find two Tokyo outposts – making it even more tres, tres chic. Plus, Stumptown, a Portland roastery, is nothing to sniff at – no matter where you are. 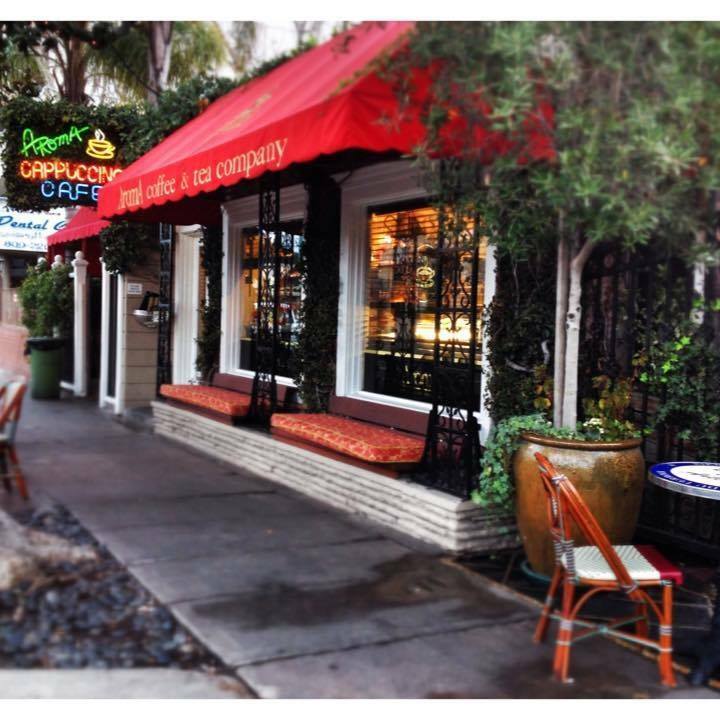 Another mainstay of the entertainment set is Aroma Café on Studio City’s treelined Tujunga. 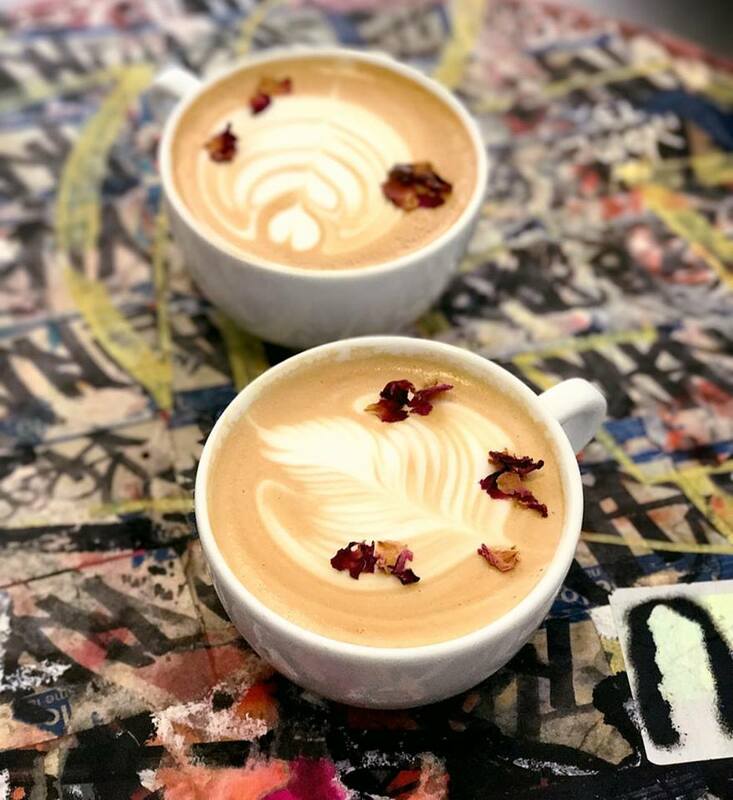 Aroma, which started as a small house and grew into a house with a garden, patio, backyard, and sidewalk café, has served up frothy cappuccinos, bracing espressos, and sipping lattes for 20 years. That’s a long time for a television series (only The Simpsons can beat that) and a restaurant. While delicious java juices and herbal teas can be imbibed on site, the coffee house is a hybrid of a one-time java house which morphed into a full-blown restaurant. 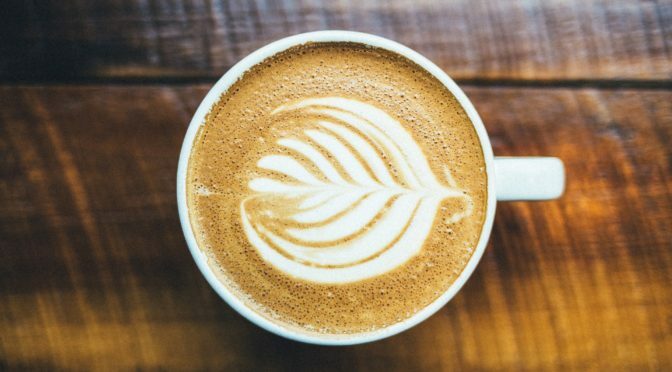 Mud-drinkers can fulfill their need for high-octane lattes while filling up on fortifying salads, crusty paninis, and savory egg dishes throughout the day. If in the Los Feliz area, the independent coffee and eatery has another tree-lined outpost on Hillhurst, serving up a twinned menu for the artistic side of the hill.